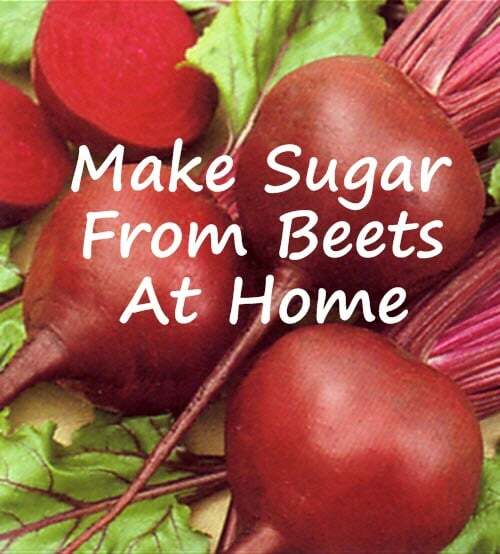 You can make sugar from beets at home with an easy process that walks you through each step and highlights the benefits of using beet sugar versus cane sugar. The six-step process involves a keen understanding of how beet pulp is mixed with water and then heated to create a liquid that, when evaporated, will result in the raw sugar. Once packed, the sugar has an impressive staying quality and, when the process is complete, you can store homemade beet sugar in an airtight container in the refrigerator for up to two years if kept in low humidity (checking for signs of spoilage before use, of course).